Basketball season is almost over, and with it could be the last game the Cleveland Cavaliers play during the Finals. The Golden State Warriors have had an amazing run, starting with a win in Game 1, and then winning Game 4 and 5; with the most important win being on the road winning 103-82. Fans and critics are saying that LeBron James is performing like no one else has during any Finals, sadly it has not been enough to beat Stephen curry and Andre Iguodala, and the rest of the GSW bench. 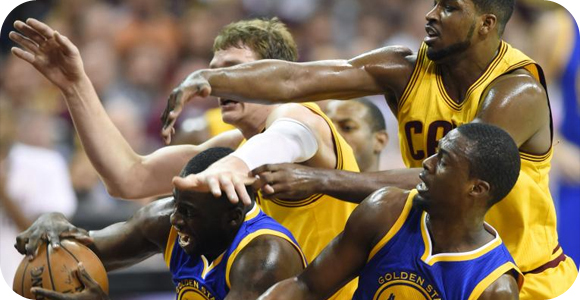 The Cavs would need to step up their defense if they want to win this next game at home, and move on to Game 7. It doesn’t give the Cavs much hope, but for those extreme fans that still want to bet on their team, they could always have the underdog’s luck. Either way, it will be an amazing show of competition and hopefully we can see some more of that LeBron magic before the season ends.